King Kullen has Smart Balance Spreadable Butter and Butter Sticks priced at $2.59 each. 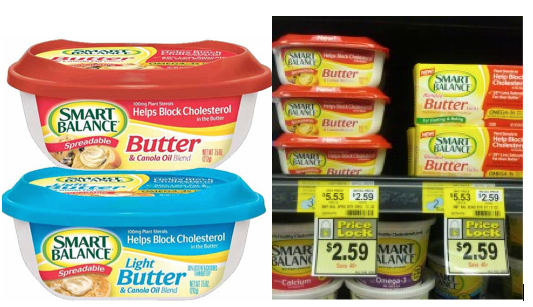 Use the $1/1 Smart Balance Butter coupon in the 6/2/13 SS to score these for just $0.59 each after doubled coupon. Be sure to check out the rest of the King Kullen Deals before you shop.